Travel can get pretty expensive, but it’s also a great way to really see the world and broaden your experience. 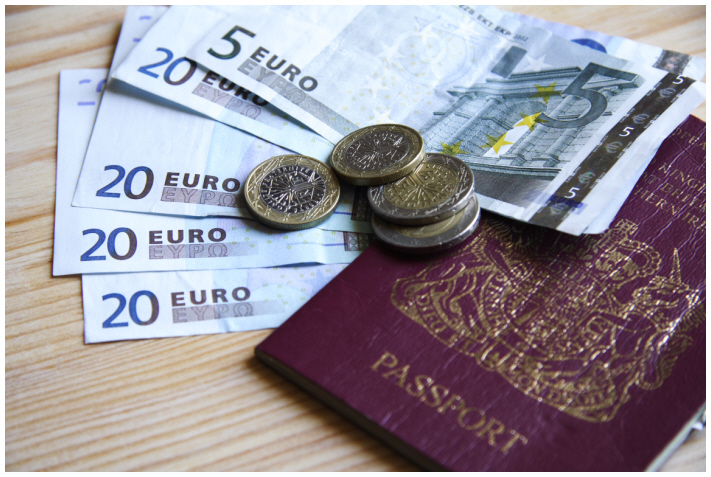 For many, travel is one of the most exciting parts of life…but as mentioned, it can be something of a financial strain when you don’t quite go about it the right way. There is a lot you can do to save money when you travel, and surprisingly enough, most of it is related to things that most travelers might not notice or consider before they leave. We’ll talk about five great tips that can actually help you cut some costs and enjoy your trip that much more. When you’re not worrying about money the entire time, it’s a lot easier to take a trip and truly enjoy yourself. 1. Book Far in Advance. If you’re thinking about doing some traveling, make sure you get everything in line and start making your accommodations plenty in advance. If you do this, you’re going to definitely have a lot less to deal with in terms of expensive fees or costly add-ons to your price. It’s a lot cheaper when you book things like airfare plenty of time before you actually have to leave for your trip, and you’ll also give yourself ample preparation time, as well. 2. Utilize the Off-Season. You may have noticed, if you’ve ever traveled anywhere before, that it’s a bit more expensive to travel in the warmer months than it is during the colder ones. This is mostly because there are a lot less people that are doing it during these times, but you can take advantage of this to enjoy some serious savings when you’re on your trip. 3. Hunt for Deals and Discounts. There are all kinds of great promotions and deals online that you can find to help you save some cash while you’re on the go. For everything from hotel stays and rental cars, to local food and attractions, there’s a way to save some money with an online coupon code or promotion. If you’re spending a good amount of time planning your trip, don’t forget to line your pockets with coupons so you can shave some money off your bill. 4. Bring a Laptop. We’re all pretty plugged in, these days. If you’re going on a trip, you’re likely going to want to connect to the Internet. You might not realize how expensive it can be to have to go to Internet cafes all the time and pay to use their computers. Bring your own laptop — they’re not too heavy, and it’ll give you a way to backup your photos while you’re on the road, as well. 5. Secondary Travel. A lot of travelers leave their vehicles in that convenient airport car parking and forget to consider how they’re going to get around while they’re away. Renting a car is great, but there’s a lot of secondary transport that you’re going to need, and these costs can add up. Try to do things like find airlines or hotels that offer free shuttles, and avoid doing things like taking cabs. Walk a little bit, or find inexpensive public transportation to make sure you’re not spending too much while you’re away.